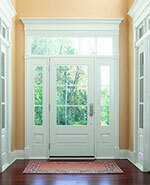 Doors Replacement - Entry and Patio Doors - DEC Construction, Inc.
Bring the outdoors view inside by installing beautiful patio doors. Not only do you invite more natural light and air into your home, but you also add architectural interest to your outdoor spaces. Choose from several styles, including traditional French doors and sliding patio doors, that can be customized with a variety of hardware styles and finishes, grille patterns, and interior stains. To get inspired by the latest building trends check out products by Andersen, Pella and Therma-Tru. 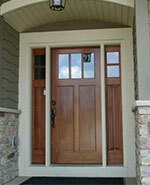 Installing new, customized entry door can change the look and style of your home exterior. 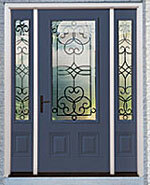 With wide range of door styles, panel designs and glass styles posibilities for designing your own entryway are endless. Whatever your home's style, DEC Construction can install front door system to enhance the exterior and match your budget. 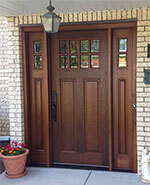 DEC Construction installs Therma-Tru fiberglass and steel doors and Pella fiberglass, steel and wood entry doors. Check out products websites to get inspired by the latest building trends.